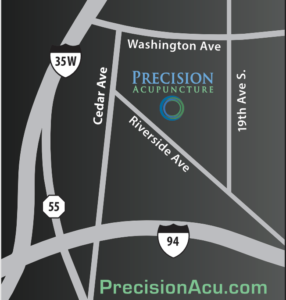 The acupuncture itself was unlike anything I had ever experienced - Precision Acupuncture | Shane Berquist, L.Ac., M.Sc.O.M. “I began going to Shane Berquist after finding out that acupuncture has helped many people with sleeping problems such as insomnia, of which I am a sufferer. I had gone to sleep specialists, received therapy, been prescribed medication, and self medicated to try to deal with my insomnia, and all of it was met with limited success. I was willing to try anything, although I was skeptical of acupuncture. My first meeting with Shane showed him to be professional, caring, and knowledgeable. I began receiving treatments two-three times per week, and although I was not “cured,” my sleep did improve. I looked forward to my treatments during the week, and Shane was always willing to answer any questions that I had, speak to any concerns that I was feeling, and he kept a very good mental record of how I was doing from week to week and month to month. The acupuncture itself was unlike anything I had ever experienced. My best description of it is an active trance, wherein I never felt incapacitated or not in control, but still incredibly relaxed and conscious that my body and mind we being stimulated to heal themselves, which I learned is the purpose of acupuncture. As Shane explained to me, and it makes sense to me, the body wants to heal itself. That is why when we get cuts, they eventually scab over if they are taken care of. It is why we vomit if we have food poisoning or why our temperature increases in an attempt to kill viruses. Acupuncture helps to stimulate the body’s natural defenses against what is ailing us, and in my case, it helped to relax me when I was anxious about my insomnia, and it helped me to get a handle on my nightly sleep.